The 37-year-old DJ - who is the lead member of the electronic dance band Major Lazer - has admitted he desperately wanted his new single 'Cold Waters' to be a different genre, although he found it "difficult" persuading the 'Sorry' hitmaker to agree. Speaking to Billboard magazine about the difficulties he faced whilst working on the project, he said: "It's complicated because we want to do it indie. And convincing Team Bieber to do that is hard. "We don't need to have some guy tell us, 'Oh, this is what the market research says', I'm on the ground, I see it." However, this is not the first music venture the pair have worked on, as the duo joined forces in 2015 to produce the hit track 'Where Are U Now'. 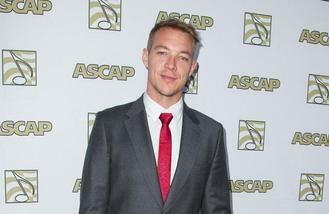 However, the singer songwriter has revealed he has a limited means of contacting the 22-year-old Canadian musician and relies on social media to get hold of the blonde heartthrob, which was how Diplo learnt the pair would duet together. "The song isn't really done, but he's excited. It's actually very real. Twitter is the only reason I know he's excited about the song. I don't have his number, so he Twitters me." Meanwhile Justin will make his debut at this year's V Festival and will take to the stage at Hylands Park in Essex on August 20 before travelling to Weston Park the next day. Whilst Diplo can be seen performing at this year's Parklife Festival in Manchester on Saturday (11.06.16) and Sunday (12.06.16).